The Deputy Minister of Justice and Correctional Services presented the Ministry's responses to public submissions on the Criminal Matters Amendment Bill and the Judicial Matters Amendment Bill. On the Criminal Matters Amendment Bill, an important submission that warranted DOJ&CD’s attention was the submission by the Congress of South African Trade Unions (COSATU) that the definition of ‘basic services’ and ‘essential infrastructure’ should include ‘health, security and education services’. DOJ&CD‘s response was that the submission would not be accepted because an extension of the definition could result into unintended consequences. DOJ&CD had amended other clauses as a result of inputs from various quarters. These were to clauses 1, 3, and 6 of the Bill. On the Judicial Matters Amendment Bill, two main submissions were dealt with by DOJ&CD. The first submission was on clause 6 which was an amendment to the Special Investigating Units and Special Tribunals Act 1996 (SIUSTA) on reporting procedures. The Special Investigating Unit (SIU) proposed some amendments to clause 6 to insert a new section 4A in the SIUSTA. The DOJ&CD found that the submission of the SIU would require careful consideration. However, as there was an urgency to finalise the Judicial Matters Amendment Bill, it was therefore decided to take out clause 6 altogether. The clause 6 amendment would be featured in another Bill where it could be given full consideration. The Community Law Centre, Women’s Legal Centre and Centre for Child Law collaborative submission had objected to clauses 15 and 19 which truncated the reporting obligations under the Criminal Law (Sexual Offences and Related Matters) Amendment Act and the Child Justice Act, respectively. The submissions were accepted and further amendments were made to the clauses as a result of the submissions. Members generally had no problem with the responses of DOJ&CD to the public and approval was given to these proposed amendments. The Chairperson directed the Department of Justice and Constitutional Development (DOJ&CD) to present its responses to the public submissions on the Criminal Matters Amendment Bill and the Judicial Matters Amendment Bill. Mr John Jeffrey, Deputy Minister of Justice and Correctional Services, noted that there was a proposal from COSATU relating to extending the definition of ‘basic services’ and ‘essential infrastructure’ in the Bill to include ‘health, security and education services’. He stated that DOJ&CD had reservations about including those words in the Bill. The intention of the Bill was to deal with offences that were directly related to damage to public infrastructure. For instance the Bill was effectively trying to address the problem where there was theft of metal and cable that were not particularly of high value but which involved organised crime on a regular basis. Where a suspect or offender was caught with the metal or cable, they could easily secure bail because the value of the items was not high and they would also not likely get any heavy sentence if found guilty by the courts. However, in the course of stealing the metals or cable, they could cause millions of damage to public infrastructure. The Bill would therefore resolve the problem by elevating the offence of causing damage to public infrastructure in order to ensure that anyone charged with the offence would not find it easy to get bail and that minimum sentences would also apply. He stated that DOJ&CD understood that the concern raised by COSATU in respect of the need to include ‘health, security and education services’ in the definitions was due to the potential life threatening consequences when their services were disrupted. However, there was concern about inserting the words into the Bill because the insertion might result in unintended circumstances. To extend the definition in the Bill to embrace educational and health facilities would mean having to re-advertise the Bill again for public comments because of the extension. Further, it would be farfetched to seek to extend the Bill to cover damages caused to educational facilities in light of the fact that students and the school authorities could possibly have a confrontation and it would be alarming to have minimum sentences and tight bail applications being applicable to such students in cases where such confrontation resulted in damage to school facilities. Therefore, the Committee was urged not to include the suggested words by COSATU in the Bill. He suggested that the Committee could simply reflect the issues raised by COSATU’s in its report to Parliament and if Parliament so wished, DOJ&CD could give further consideration to these issues. COSATU had already been consulted in respect of the suggested approach and it had expressed its agreement. The Chairperson stated that the proposal by COSATU was very persuasive and the Committee had been inclined to support it. However, the clarification given by the Deputy Minister had shed more light on the issue and it was important to prevent such unintended circumstances. Mr S Swart observed that COSATU had indeed made strong arguments for the extension of the definition in the Bill. However, he also appreciated the concern raised by the Deputy Minister about unintended circumstances. He would therefore support a proposal that DOJ&CD should reconsider the issue and then revert again to brief the Committee on the matter. It was possible that there could be scope for extending the definition in the Bill to incorporate the suggestion by COSATU. Ms C Pilane-Majake (ANC) stated it would not be ideal to pass a Bill that could result in unintended consequences. It was a good suggestion that DOJ&CD be given time to reconsider the extension of the definition in the Bill. The Chairperson asked members generally if they considered the Deputy Minister’s submission to be valid. Members did not have any problem with the Deputy Minister’s submission. The Chairperson appreciated that Members considered the Deputy Minister’s submission was valid. He stated that there was no need for the Committee to go through the process of directing DOJ&CD to reconsider the extension of the definition in the Bill. The Committee would simply reflect COSATU’s suggestion in its report to Parliament. Therefore the Committee would adopt the submission by the Deputy Minister that the definition should not be extended. The Deputy Minister thanked the Committee. He stated that in view of the inputs from various quarters, a few proposed amendments had been made to the Bill. He stated that the slashed words indicated that they had been removed while the bolded words represented the new addition to the Bill. Mr Theo Hercules, Principal State Law Adviser, said he was in agreement with the proposed amendment, however, he suggested that the word ‘includes’ as retained in the clause should be removed as it would infer that there was something preceding the wording employed in the clause. He therefore proposed that basic service should simply be defined as ...“basic service” means a service provided by the public or private sector,…. .
Mr Jeffrey supported the further amendment suggested by Mr Hercules. ”tamper” include to alter, cut, disturb, interfere with, interrupt, manipulate, obstruct, remove or uproot by any means, method or device, and tampering shall be construed accordingly. The bolded words represent the amendment to the clause. 30 years or in the case of a corporate body as contemplated in section 332(2) of the Criminal Procedure Act, 1977, a fine not exceeding R100 million/ as the court may deem fit to impose. (b) the general knowledge, skill, training, and experience that he or she in fact has. Mr Jeffrey stated that the wording of clause 3(2) was taken from other existing legislation that had similar wording. This point was important in light of the fact that members might be concerned about the wording. Therefore, the fact that the wording could be found in relevant existing legislation should dispel any misgivings members might harbour about its introduction into the Bill. The Chairperson asked members for comments. ‘‘Any offence referred to in section 2, 4, 5 or 6 of the Prevention of Organised Crime Act, 1998 (Act No. 121 of 1998), which relates to an offence involving ferrous or non-ferrous metal which formed part of essential infrastructure, as defined in section 1 of the Criminal Matters Amendment Act, 2015. Ms Ina Botha, Principal State Law Adviser, added that the amendment was to ensure that all loopholes were cut off so that if the offence sought to be deterred under the Bill was connected to another offence, the offender would still be liable under the law. Members had no objections to the amendment. 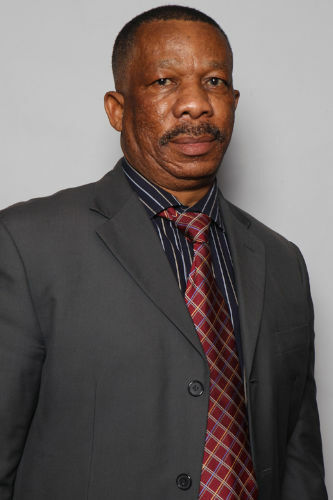 Deputy Minister Jeffrey stated that he would like to implore the Committee to finalise the consideration of the Judicial Matters Amendment Bill. In that regard, he would like to respond to certain public submissions that had been made on the Bill. There were two main submissions that DOJ&CD would like to respond to. (2) Paragraph (b) of section 4A, must be amended by – (i) amending the introductory sentence of paragraph (b), by inserting the underlined words: “may at any time when he or she deems it necessary or whenever reasonably requested by – “. The reason for the proposed insertion of words given by the SIU was that the current paragraph (b) of section 4A only provides for reporting on the progress of an investigation on request and does not address the practical needs to share information. Section 4A(b) should be amended to provide the Head of the SIU with a discretion to share information, even in circumstances where no request was received for a report from any of the persons or entities mentioned. Mr Jeffrey stated that there was a need to carefully assess the submissions by the SIU. He stated that DOJ&CD, the SIU and the Presidency had been in discussions on the proposed amendment since the comments made by the SIU at the public hearings. Further deliberations appeared to be necessary. Therefore in the interest of finalising the Bill, DOJ&CD would request the Committee to consider the possibility of deleting clause 6 from the Bill so that it could be dealt with later in another Bill. The Chairperson stated that the Committee would support Mr Jeffrey’s proposal that more consideration had to be made in respect of clause 6 of Bill and that the clause should be taken out of the Bill. Mr W Horn (DA) stated that he had no problem with the proposed removal of clause 6 from the Bill. Ms Pilane-Majake was also in support of the removal of clause 6 from the Bill. The Chairperson confirmed that other Members did not have a problem with the proposed removal of clause 6 of the Bill. The removal of the clause was therefore approved by the Committee. Mr Jeffrey moved on to the second public submission that DOJ&CD would like to respond to which was that of the Community Law Centre, Women’s Legal Centre and Centre for Child Law. Clauses 15 and 19 of the Bill proposed amendments to the reporting obligations under the Criminal Law (Sexual Offences and Related Matter) Amendment Act 2007 (the SOA) and the Child Justice Act (CJA) 2008, respectively. On the SOA, the submission was that the reporting obligations in terms of section 65 of the SOA required the Minister to consult with the Ministers of Police, Health and the National Director of Public Prosecutions prior to submitting reports to the National Assembly. However, the proposed amendment via clause 15 of the Bill to section 65 of the SOA was that the relevant Directors General would simple annex a report in their Annual Report, outlining each department’s role and activities. The contention with the proposed amendment was that such changes would undermine accountability of the various departments. On the CJA, the submission was similar to the one on the SOA. The contention was that the proposed amendments to the CJA via clause 19 of the Bill would have the effect of lowering and watering down the current reporting standards. The proposed amendment undermined the obligation on Departments to collaborate with one another and to report in a consolidated manner. The proposed amendment would also result in piecemeal reporting on progress on the implementation of the laws as such reporting would be dispersed across a wide range of Annual Reports. The removal of the requirement for dedicated reports would also in all likelihood reduce what should be high level, detailed, integrated reports to a few paragraphs in various departmental Annual Reports. The DOJ&CD acknowledged that the proposed amendments under clauses 15 and 19 of the Bill to the SOA and CJA respectively would have the implications referred to in the public submissions. In view of this, the DOJ&CD had redrafted clauses 15 and 19 of the Bill to address the concerns in the public submissions. The Committee went through the redrafted clause 15 (see document for proposed changes). Mr Lawrence Bassett, DOJ&CD Chief Director: Legislative Development, stated that there had been requests and proposals for more cabinet ministers to be brought on board in respect of clause 15. The Chairperson asked for comments about having more Ministers being co-opted into the provision of clause 15. Mr Jeffrey stated that he would object to the idea of co-opting other Ministers into the provision of clause 15 because such Ministers had not been consulted about the idea of including them within the provisions of clause 15. It would be inappropriate to simply impose obligations on Ministers without seeking their views on this. The best thing was to leave clause 15 as it was without including more Ministers within the provision. Ms Pilane-Majake stated that she supported the notion that the Ministers must be consulted before they could be co-opted. The Chairperson directed that the proposed clause 15 be left as it was without adding any more Ministers. Mr Jeffrey moved on to clause 19 of the Bill and took the Committee through it (see document for proposed changes). The Chairperson asked if Members had any objections to clause 19. Members were in support of the amendments. Mr Jeffery stated that there were no more responses to be dealt with. He hoped that the Committee would be able to finalise the process for the adoption of both Bills by the next meeting. The Chairperson replied that the Committee would consider the Bills for adoption at the next meeting. He thanked everyone and adjourned the meeting.